Native American Fashion Trends- What’s acceptable and what’s offensive? Pharrell Williams recently joined the growing list of celebrities who’ve offended not just Native Americans, but Natives. Period. 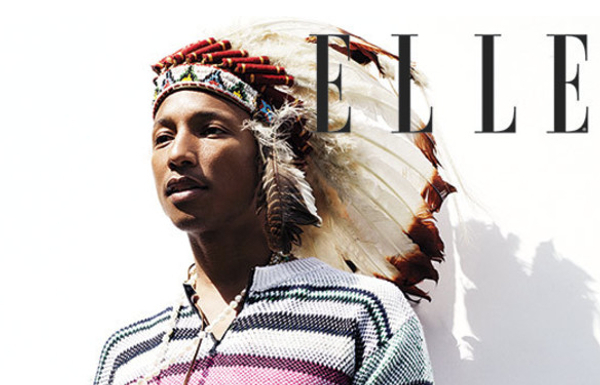 To the dismay of many, Pharrell wore a war bonnet on the July 2014 cover of Elle UK. He later apologized, but not all offenders do. While some things are blatantly offensive others might not be so obvious, especially if the reason its offensive hasn’t been thoroughly explained. A quick though not all-inclusive explanation on why the warbonnet or headdress should be off limits is that it is a sacred item. It isn’t a part of every Indian culture but for those whom it is, like the Plains Indians, it is a possession that must be earned. In particular, the precious feathers, commonly eagle’s feathers, were earned through selfless acts of bravery, deeds that benefited the tribe, or levels of stature that warranted a great deal of respect. Today headdresses (which have a spiritual component as well) are mostly used for ceremonial purposes and members of a tribe can earn feathers as gifts for such attainments as an MD or PhD. 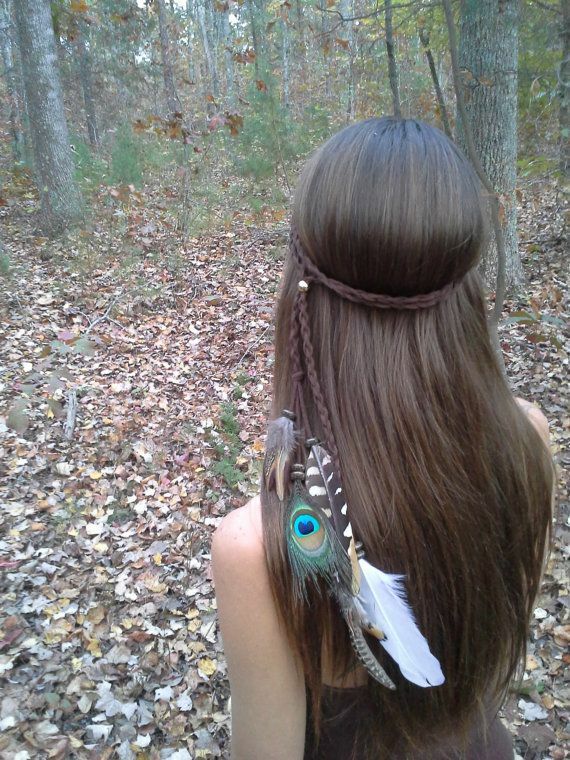 So what’s wrong with wearing a feather in your hair, or hanging a dream catcher above your bed if you’re a non-Native? Huntress Feather Headband via Polyvore.com. I read a comment somewhere that argued if you don’t live the lifestyle of a certain culture every day you shouldn’t represent that culture in your appearance. If I recall correctly that commenter got blasted. Sometimes it’s not so much the item in question but its origin and/or implications. Some companies attempt to cash in on Native-themed merchandise or try to pass items off as authentically Native or Native American made which to me implies that an Indian community somewhere will benefit from the sale in some way. The Federal Indian Arts and Crafts act of 1990 made it illegal to claim a product is Native American made when it isn’t. Still, designers and apparel brands like Rue 21 and Urban Outfitters have been in violation. In 2011 the latter was issued a cease and desist order for its ‘Navajo’ line. The Navajo Nation holds a trademark that forced Urban Outfitters to rename the line. Even when companies stay within the legal lines, what we essentially have in fashion is non-Native owned businesses representing and profiting from a piece of a culture and people they clearly don’t understand nor do they support. Sound familiar? The best thing the fashion industry can do to truly show support is to spotlight and collaborate with Native designers (a la Paul Frank) and employ Native models for fashion wear in general. All that being said, realistically, how many people, especially the young and unaware, will check for authenticity when shopping? Most likely the assumption is if it’s on display and for sale in a retail outlet then it must be ok; especially when it’s a huge retailer like Walmart or Amazon. Still got questions? Check out But Why Can’t I wear a Hipster Headdress? Support Native American designers at Beyond Buckskin. Like an Item in the featured image below? Get it here. 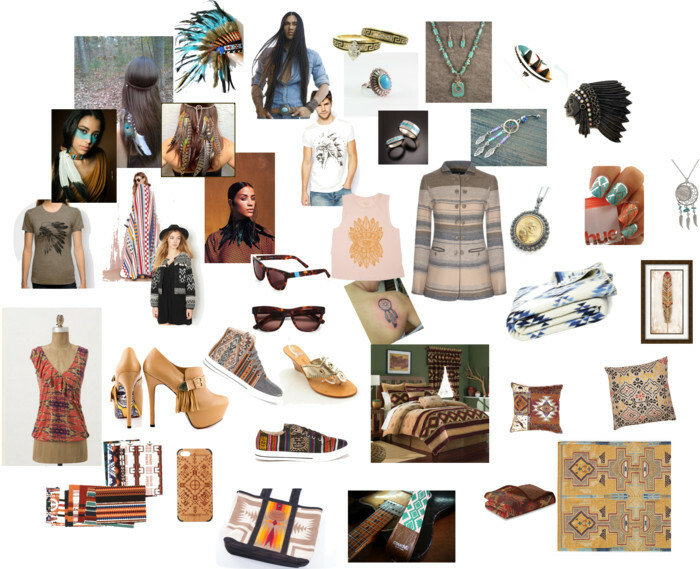 Native American influence in fashion.